About 1,100 people stood in line on Snelling Avenue in St. Paul Sunday to meet former Secretary of State Hillary Clinton and get signed copies of her new memoir, "Hard Choices." Clinton is considered a front-runner for the 2016 Democratic presidential nomination, although she hasn't said she will run. Mary Fukar, a native of Liberia who now lives in St. Paul, was third in line after arriving at 7:45 a.m. She said she's been a supporter of both Hillary and former President Bill Clinton since the early 1990s. "I can relate to them because they like people and because they fight for people, equal rights, equality, and moving people from poor to middle class," Fukar said. The signing was held at Common Good Books, which is owned by Garrison Keillor, host of A Prairie Home Companion. 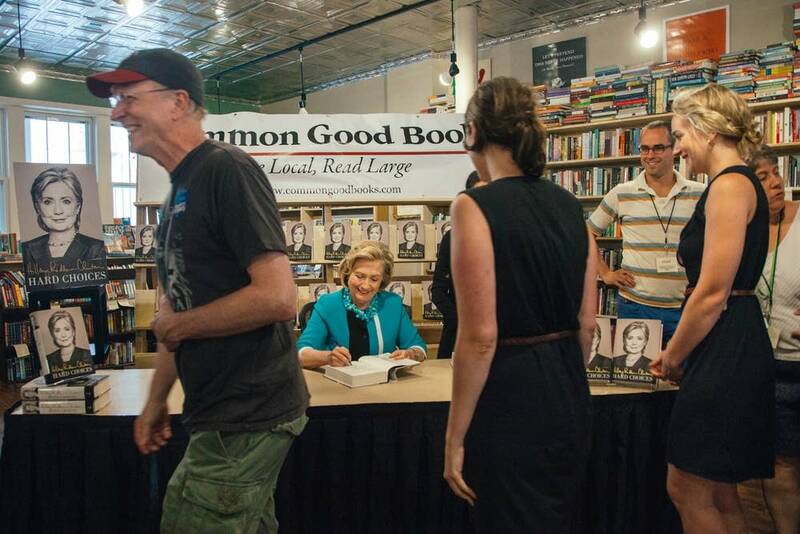 Keillor wasn't present at the store as Clinton arrived, but he left her a limerick on the store whiteboard that read in part: "So go and don't stop, 'til you get to the top, with compassion for those at the bottom." The line stretched about a block and half. Barbara Stasz, 78, of Mounds View waited on a lawn chair near the end, and wore a button depicting suffragist Susan B. Anthony. 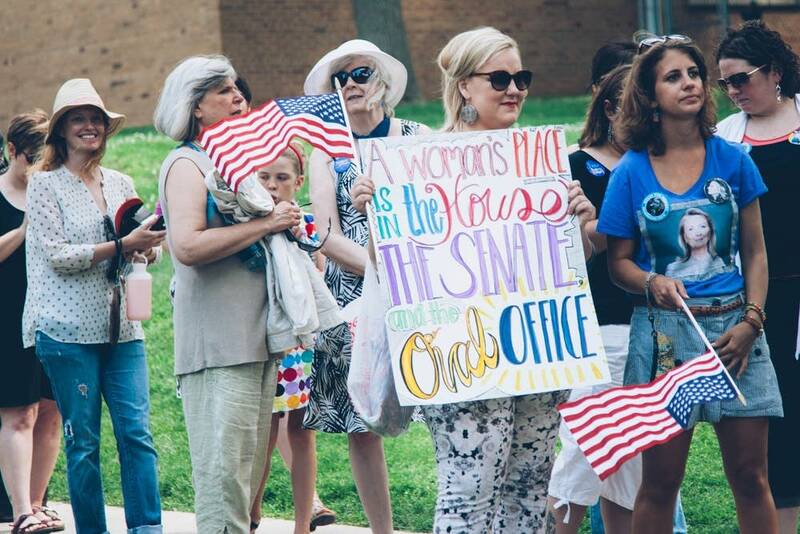 "Susan B. and Elizabeth Cady Stanton had to fight long and hard to get the vote, and here we are," Stasz said. "Hillary is carrying the torch forward." Security was high at the event, with each attendee and member of the media being screened by the U.S. Secret Service. Many people waited hours to get into the bookstore. The signing was attended by high-profile Democrats including U.S. Sen. Al Franken, St. Paul Mayor Chris Coleman and Gov. Mark Dayton. The governor appeared with Clinton for a photo right before she began signing books. 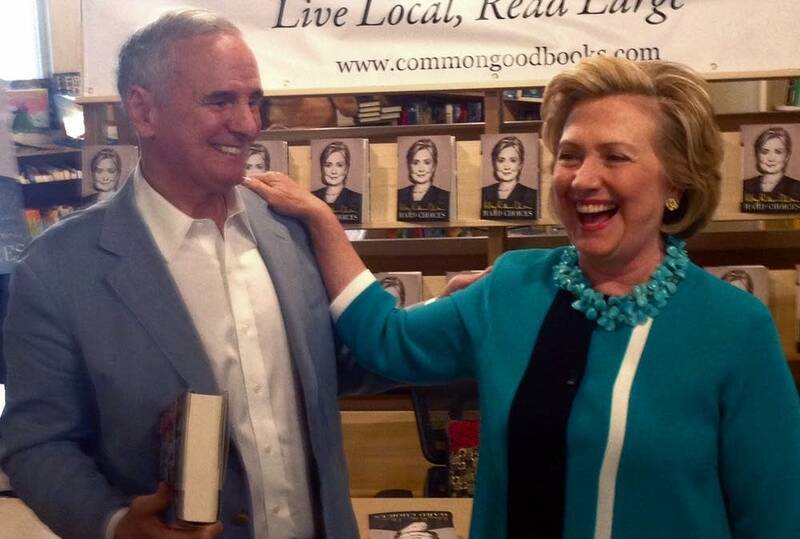 Dayton joked that he'll read Clinton's memoir after his re-election in November. Four Republicans are vying to run against Dayton in November. Jeff Johnson, Marty Seifert, Kurt Zellers and Scott Honour are competing in the August 12 GOP primary. 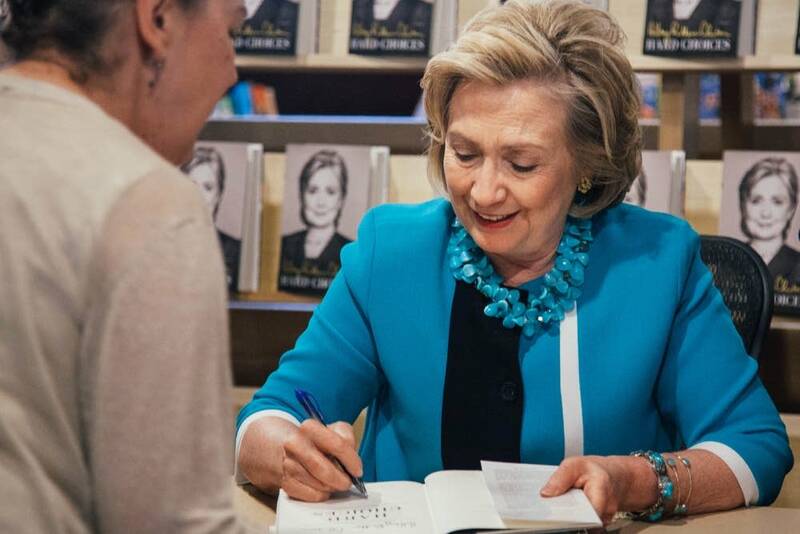 Clinton's staff repeatedly said that Clinton wouldn't write personal messages in the books, but she posed for photos and wrote a personal inscription for Autumn Paulson, who was first to greet the former first lady. The Normandale Community College student also met Clinton a decade ago, and brought pictures from that earlier meeting for Clinton. She said through a communications device mounted on her wheelchair that she'd consider volunteering for Clinton's campaign if she runs. "It will be cool to say that I met the first woman president, and it's a plus that she's a liberal," Paulson said. A handful of anti-war protesters stood across the street from the bookstore. They chanted pro-Palestinian slogans and held signs condemning the military use of drones.